Infertility is an imbalance in the body’s energy. Traditional Chinese Medicine balances the body’s energy in order to aid infertility patients in achieving a successful pregnancy. Traditional Chinese Medicine includes Acupuncture and Chinese Herbology which are both important in dealing with this internal medical situation. Infertility is first treated by balancing the female hormonal cycle. Women with PMS (premenstrual syndrome), menstrual pain, bleeding issues, or any cycle imbalances can benefit from treatments. Traditional Chinese Medicine can also help with male causes of infertility. Screening the male partner is important as problems can occur with either or both individuals. Traditional Chinese Medicine can benefit both partners in this situation. Acupuncture and herbs are used in all infertility situations both with and without western medical intervention. 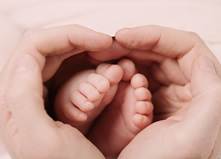 Using acupuncture along with IVF has been shown to significantly increase the rate of success. Patients with habitual (or repeated) miscarriage, or a weak constitution can have their bodies strengthened to prevent this problem from continuing to occur. Chinese herbs, as well as acupuncture points, are used to aid the body in its ability to hold the fetus. Custom herbal formulas are used in many of these situations in order to maximize the benefit for each individual. This is important because patients with the same symptoms have different underlying imbalances. When each patient is balanced their symptoms diminish as their fertility increases. Infertility is a specialty of Lissa Nirenberg’s. She has done extensive and continuous study in the area to benefit her present and future patients. Continuing treatment during the early stages of pregnancy is strongly recommended to achieve the best outcome for both mother and child.